Adel Abdessemed travelled around France as a student, and whilst in Colmar, saw a painting: the Isenheim altarpiece, painted in 1500 by the artist Grünewald showing Christ in agony on the cross, his hands contorted and his muscles tense. Abdessemed was deeply struck by it. This was the first time that he had seen a crucifixion with more than just religious meaning. Jesus is shown as a suffering human being, punished for something he didn’t do. 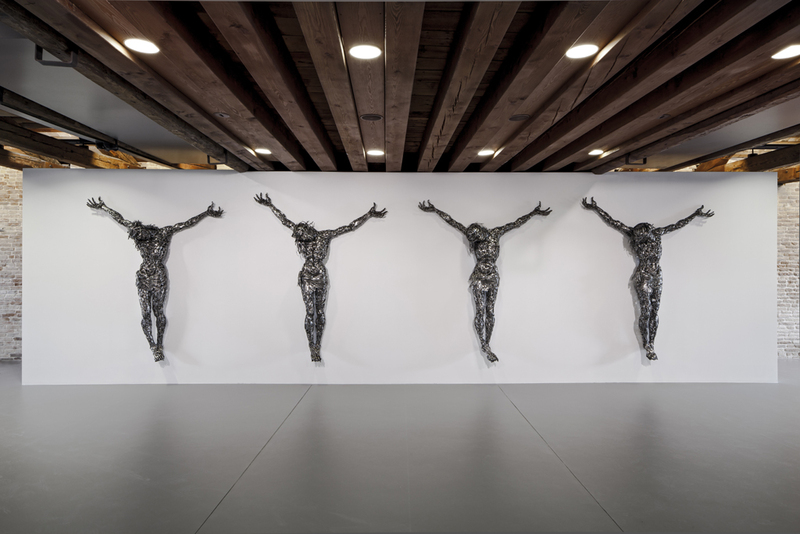 Adel Abdessemed transformed the crucifixion from a painting into a sculpture. Which materials did he use? He wove metres and metres of barbed wire, like that used in Guantanamo, the famous American prison for terrorists. Barbed wire is a dangerous material, but also symbolic, and is used here to recall a place of terror in which human rights were trampled on. 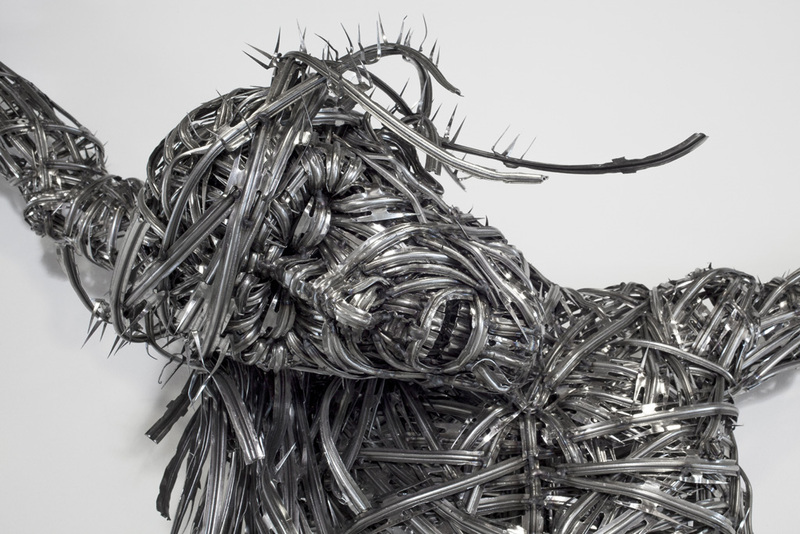 The message conveyed by these sculptures is strong and clear: we are nailed to a brutal world that makes no allowances for anyone.